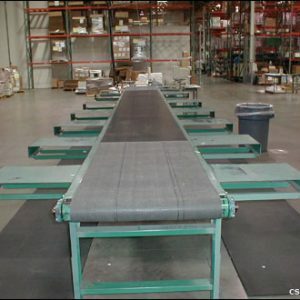 Span-Track wheel beds by UNEX are designed to meet the ever changing demands of your order picking operation. 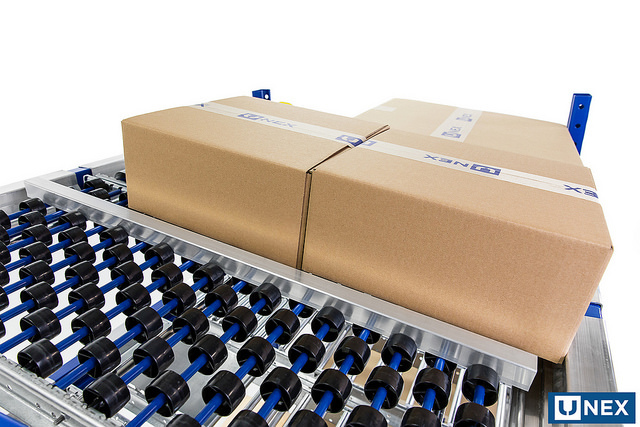 Span-Track will increase product order flow and storage space flexibility. 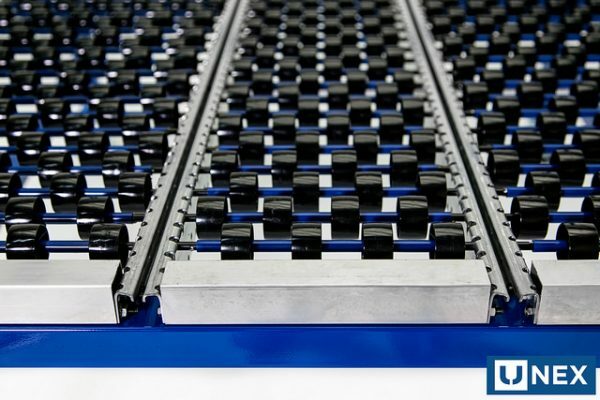 Maximize Order Picking Rates – Increases throughput by 150% compared to picking from a pallet. 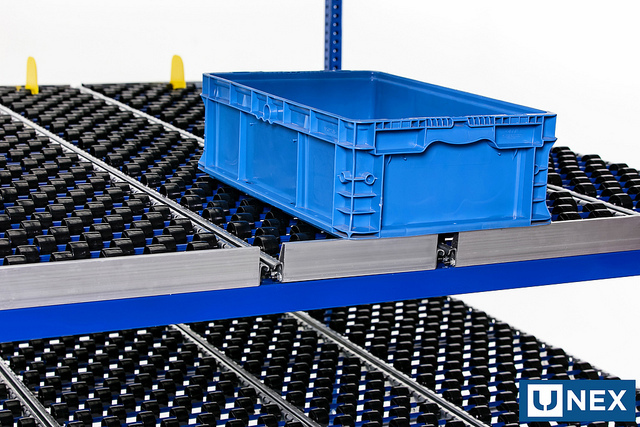 Storage flexibility – Store multiple sized products within the same shelf level. 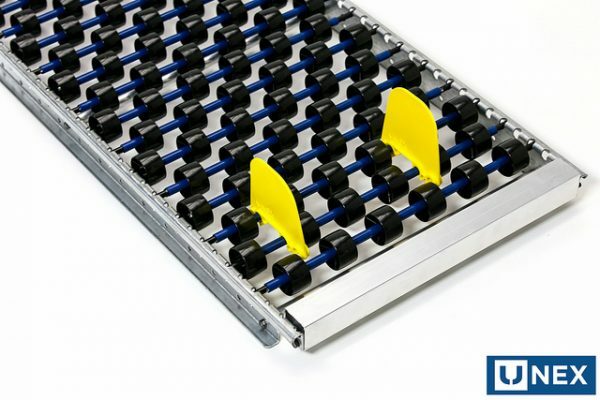 Decrease Order Picking Travel Time – Reduce travel time between picks by storing items closer together. 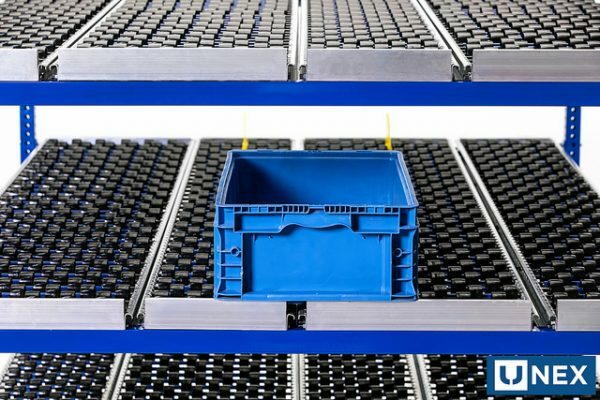 Productive Use of Space – Maximize space and create ideal FIFO storage for products. 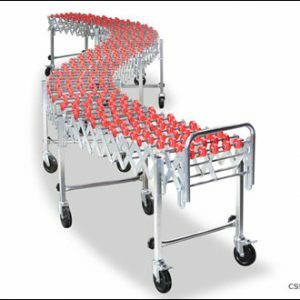 Simple Design – Reslot wheel beds without having to move tracks. Seamless Installation – Drop-in design wheel beds create a simple installation. 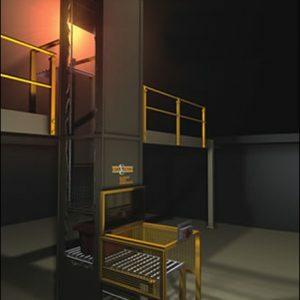 Capacity – Available in light, standard, and heavy duty options. Guaranteed to Fit – Customized end treatments are designed to fit any type of pallet rack beam. Knuckled Track – Available in straight track for full case picking or knuckled track for split case picking. 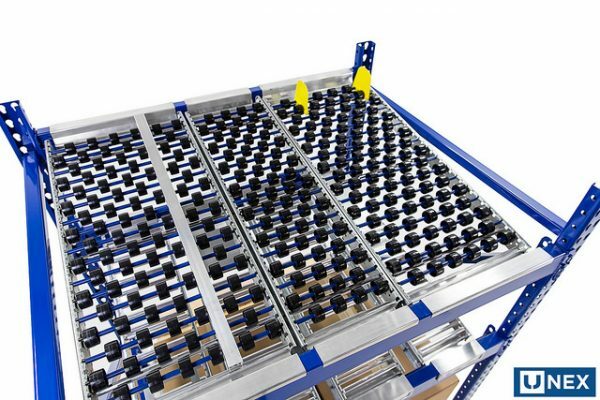 Clearance – The height of the track within your pallet racking is reduced by our patented track notching. Durability – Built to withstand your day to day operations and backed by a seven year warranty from Unex.